In April 2015 I enjoyed a fantastic road trip on the west coast of Southern Ireland (Republic). I flew to Knock International Airport and my first destination was the small village of Westport. 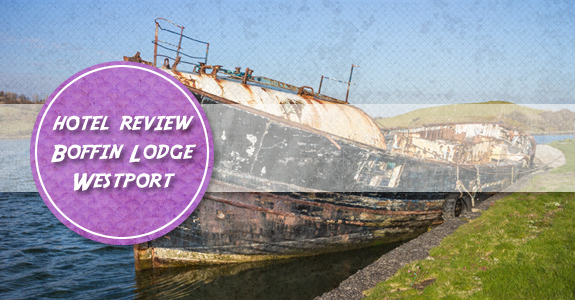 For this trip I chose small BnB's, hostels or small hotels for a more authentic and personal experience; the first of which was Boffin Lodge which was an amazing BnB a couple of minutes' walk from the harbour in Westport. I found Boffin Lodge to be in a great location for the short amount of time I was in Westport. It is nestled on the main road (Quay Road) and has private parking at the front of the building for all guests. Down Quay Road to the west is the harbour and pier and to the East is the town centre. 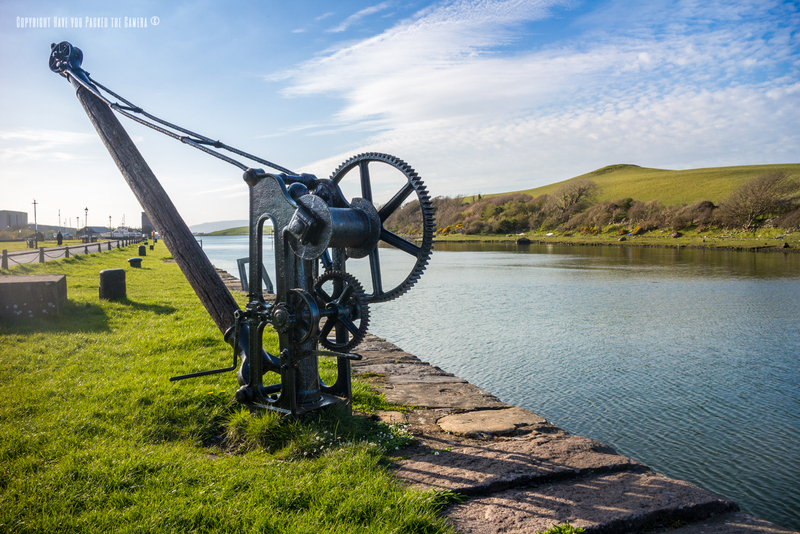 I enjoyed a lovely walk down to the harbour, had a meal at the Towers bar and watched the sunset across Clew Bay. To Knock Airport – The journey from Knock airport took around an hour and was fairly straight forward along mainly one road (the N5). The scenery and landscapes on the way were beautiful – Lots of small villages and rolling fields full of colour and life. 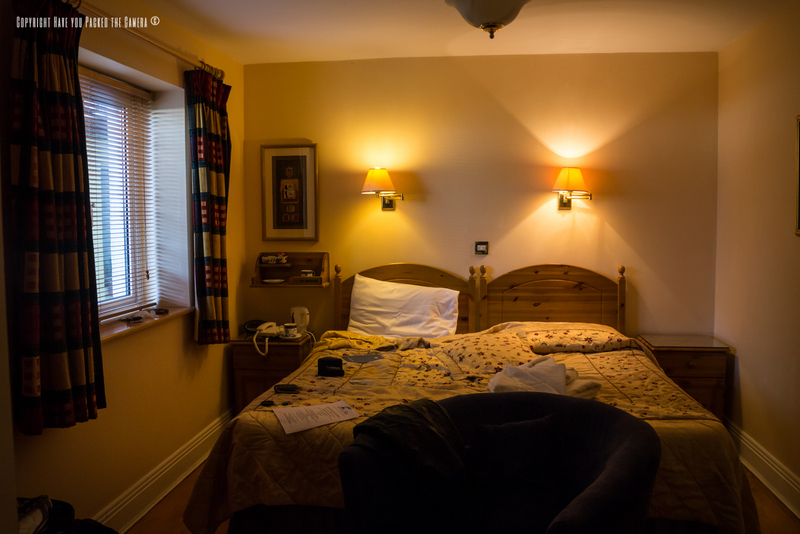 Boffin Lodge was delightful and I could not have wished for a more welcoming and comfortable first night's stay. I was welcomed to the premises by " " and she gave me a tour of the facilities and made me feel very welcome. 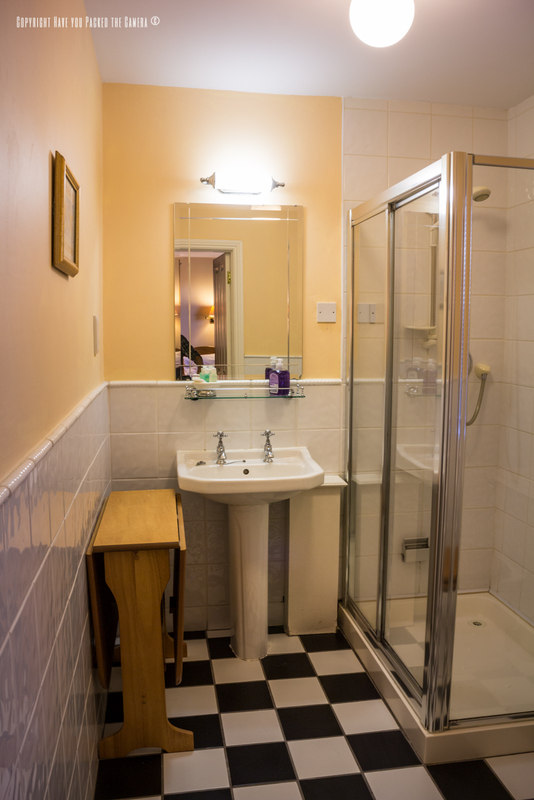 Overall the condition of the BnB was impeccable; clean, tidy, well-kept and just a wonderful place. The Room – My room was brilliant – The quality and finish were perfect and it have everything I needed. The bed was comfortable, there were plenty of towels, complimentary tea and coffee and a mini bar and TV. The bathroom was spacious and had a easy to use shower. I really couldn't have asked for better. For the price of the room (40 Euros), breakfast was included and I made the most of the selection offered. The breakfast was served in a conservatory style dining room – The sun poured through, I could see the beautiful garden outside, there were chickens grazing and taking a peep at us, and soothing Irish music playing – Perfect. The breakfast selection was great. There was a selection of cereal, bread, croissants, butter, jam, tea, coffee and various juices; All of which were in plentiful supply. There was also a cooked menu – I opted for the Mini Irish breakfast which consisted of Egg, Sausage, Tomato, Bacon and White Pudding – I had no clue what white pudding was at the time but it reminded me of stuffing. (It's actually a mixture of sausage meat, fat, and oats and herbs). There was also plenty of toast and fruit. I am not usually a big breakfast man, but I set out from Boffin Lodge feeling well and truly stuffed and ready for the day ahead. 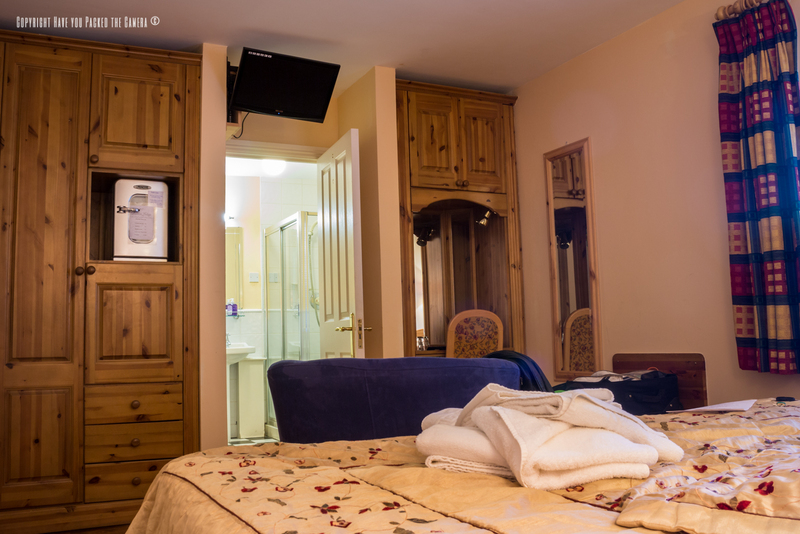 For a mere 40 Euros per night (Breakfast included) I thought that Boffin Lodge was amazing value for money and I was delighted with every aspect of this charming BnB – I really cannot pick out one single fault. 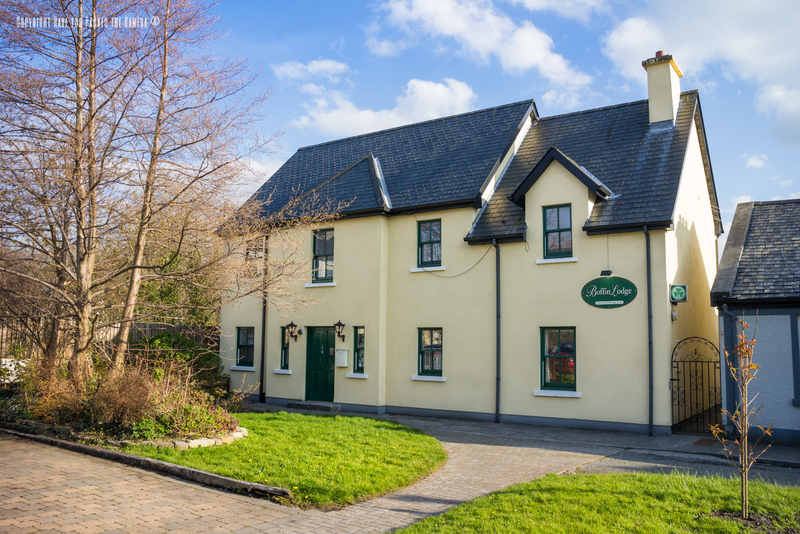 If you are based in Westport I would recommend staying here – It will make the difference to your west coast Ireland adventure.